I am looking to display elements of the interface to the second monitor as you describe in the second option. I am using Premiere Pro CC on a Windows 8 platform. 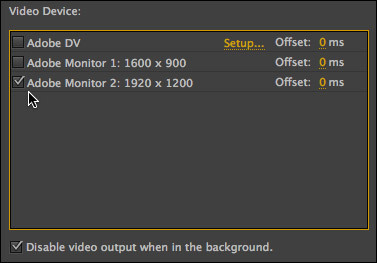 When I drag the panel or frame to the second monitor I do not see any way to automatically have it fill the monitor. You said “click the green button at the top left of the window to expand this pane to fill the monitor.” Is that only a Mac OS feature? In Windows there should be a maximize icon on the top right but I only see the X to close the window. I have looked everywhere online and cannot find a way to maximize. And the handy tilde key does not work on the second monitor. Any ideas? Trying to set up a Flanders Scientific CM250 via AJA T-Tap but PPRO CC doesn’t appear to “see” the monitor in the Playback pref tab. FCPX works fine. Any ideas? I don’t have a clue – you might try contacting AJA, I find there support generally better than Adobe. Try to reinstall the driver. That may do the trick. 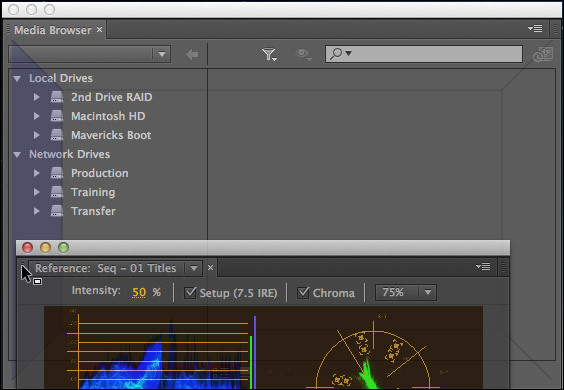 Wondering what version you had when this worked for you and if this still works for you on the latest release of Premiere CC. Would truly appreciate your thoughts so that I can help assist Adobe what is going on here. What would be the advantage of configuring a second display this way rather than through apple system preferences? is it just that you can save preset’s or is this a lot more reliable method. Hi Larry. I’m a big fan of yours!! I have something to add to the “Display video to a 2nd monitor”. I love this feature but i have noticed that when playing back my TL which has dense 3rd party effects, i loose the RT playback for those sections. The video just freezes for those sections. 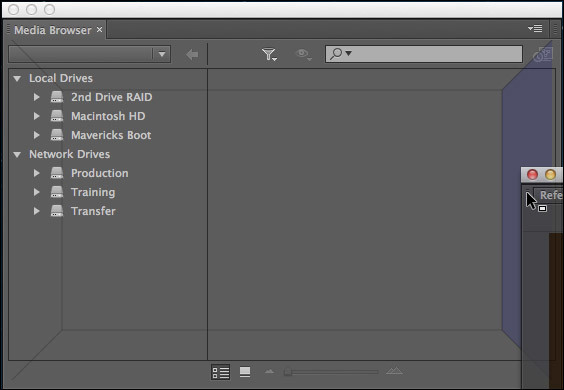 It seems as though adobe is using some memory in order to generate the 2nd output. I have a smoking fast PC by the way, Windows 7 64bit, 6 core Intel I7 980@3.33GHZ, 24 gigs ram. When i turn off the 2nd monitor the TL plays back better in those effect dense areas. My guess is that there is no free lunch. When you need CPU/GPU resources for effects-heavy work, and haven’t rendered the file, those resources need to come from somewhere, which is why the second monitor freezes. 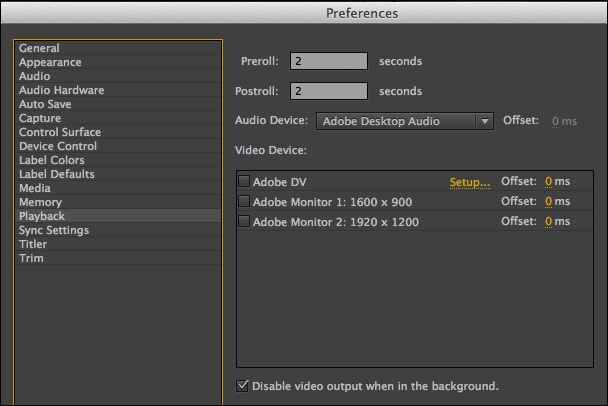 I am pretty sure this is not possible, but is there a way to make a shortcut for the checkbox/playback to the 2nd monitor to toggle on and off? I don’t have the money to get a third monitor for playback. I just don’t like playing back the timeline in the small program window so i have to go to Preferences>Playback and check the box everytime. Just wondered if there could possibly be a shortcut for this. Thanks. I am not sure, but I suspect not. Just so I’m sure I understand this. If I want to add a 4K TV into the mix as a program “monitor”. Can I just use the HDMI port on my MacPro trash can and then go into premier and tell it to push playback to that device? When you state that you need an interface between the computer and a monitor do you mean if I was using a monitor with SDI ports? 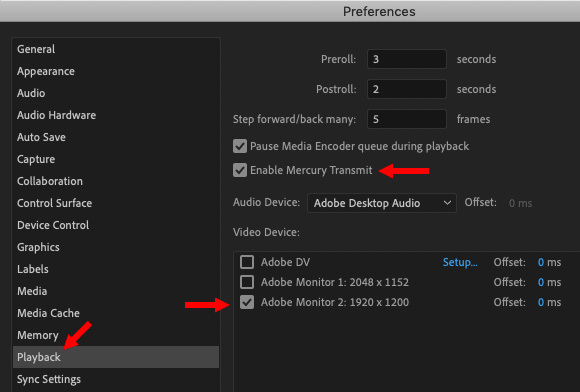 Seems silly that I would need an interface when my machine has an HDMI port on it and I just want to push the playback signal from premiere to a TV. You are correct. The HDMI ports would work fine. When that article was written, HDMI ports were not commonly available. I have a brand new iMac running OS X 10.11.4 and using Premier Pro CC 9.2.0. I have a three monitor setup, The iMac display and an ASUS monitor for myself and a third one that I use for my clients. I am having trouble displaying the program monitor output into that “client monitor”, as I call it…well it actually won’t play back on any of them! I’ve tried all three for the sake of troubleshooting. I’ve already gone through the Preferences window and selected all monitors individually…nothing happens. The multiple monitor set up works fine on my laptop running the same version of Premier…Any idea as to what could be causing this? Hmmm… I’m not sure. I’m on deadline for a different project at the moment and don’t have time to research this. I suggest you contact Adobe Support. I’ve started to encounter a glitch of some kind that happens every single time I execute a certain order of steps. I’ve got my comp connected to a 24″ external LG monitor via HDMI. After launching premiere, I undock some panels and move them over to the external monitor. 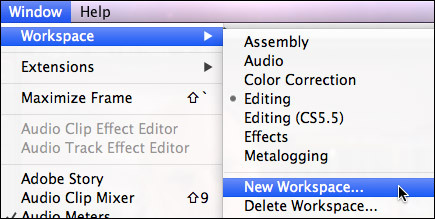 I begin importing and editing as normal, but the moment I select ‘color’ or ‘assembly’ etc. Premiere locks up. At this point, the glitch has 3 distinct properties aside from freezing. 1) double clicking a clip in a bin for example does nothing. ‘Source’ window is completely grayed out. 2) When I expand or contract the timeline vertically, the entire layout freezes into a “cascade of windows” effect. Kind of like a deck of cards splattered across a table. 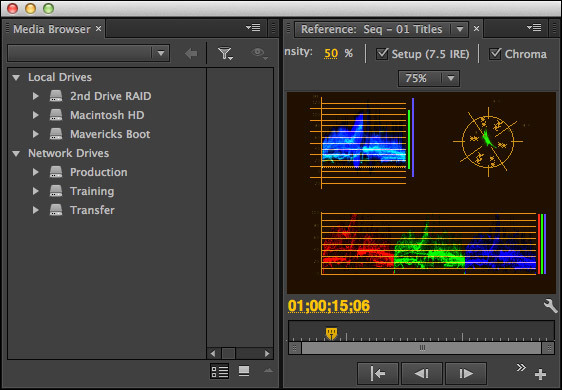 3) after force quitting premiere, I am unable to launch. I have to open a task manager to discover that it has dropped itself into ‘background processes’ for some reason. 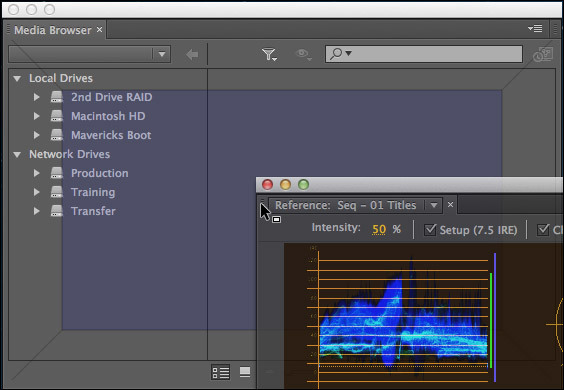 Despite the freeze, I can still move the playhead, and I can even hear the audio. I’ve repeated this process numerous times to confirm that it isn’t a random occurrence. Can anyone help shed some light on this please? Computer restart, no effect. I have re-installed, no effect. I have deleted media cache, no effect. 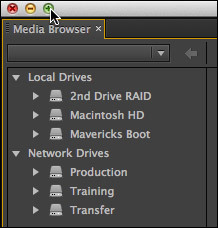 Changed the name of both the adobe and premiere folders to “premiere.old” and “adobe.old”. I’ve also tested for the glitch using my work computer (a mid-level mac book pro running el capitan OS) which also has the latest version of CC, moving the interface around to other monitors, and it’s glitch free. I have near state-of-the-art computer specs as well, so that shouldn’t be an issue. This is an excellent write-up! And it is the kind of bug that Adobe needs to know about. I strongly recommend you contact Adobe Support. I have contacted adobe support multiple times so far about this topic, I even allowed them to take over my computer via remote session, and still no solution. I’ve updated my graphics card driver and connected to different monitors using different ports. The glitch is triggered the same way every time, it’s like clockwork at this point. Just the simple act of undocking panels and windows and moving them to external display, boom, a freeze. Anyone else encounter this? Okay, I have a temporary fix for the problem.